Have you had difficulty keeping cut flowers alive and well? Presenting Keep Flower, developed with specialist knowledge of a sugar refinery. Frequent replacement of water keeps water clean but cut flowers do not bloom when they only get water and lack in nutrients. Introducing Flower Keep to keep cut flowers blooming at fullest and longer for your viewing enjoyment. Buds in particular, cannot bloom without nutrition and with water alone. 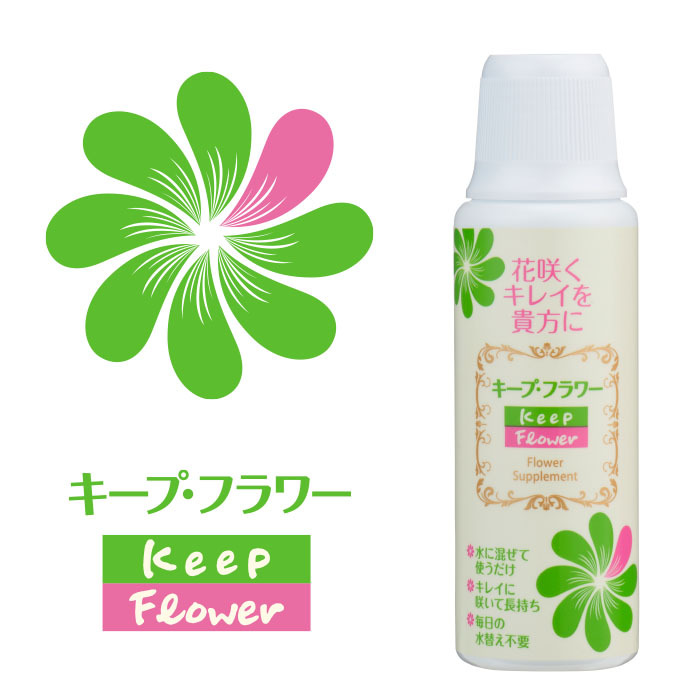 Keep Flower provides sugar, which serves as a nutrient for cut flowers, in the form that is most easily absorbed by flowers. Let the flowers blossom beautifully with Keep Flower! Why don’t cut flowers keep? Once cut, flowers are unable to produce their own nutrients. Since they no longer have roots, they have no choice but to absorb soiled water in the vase. What happens is similar to “malnutrition” and “bacterial infection” if they were humans. 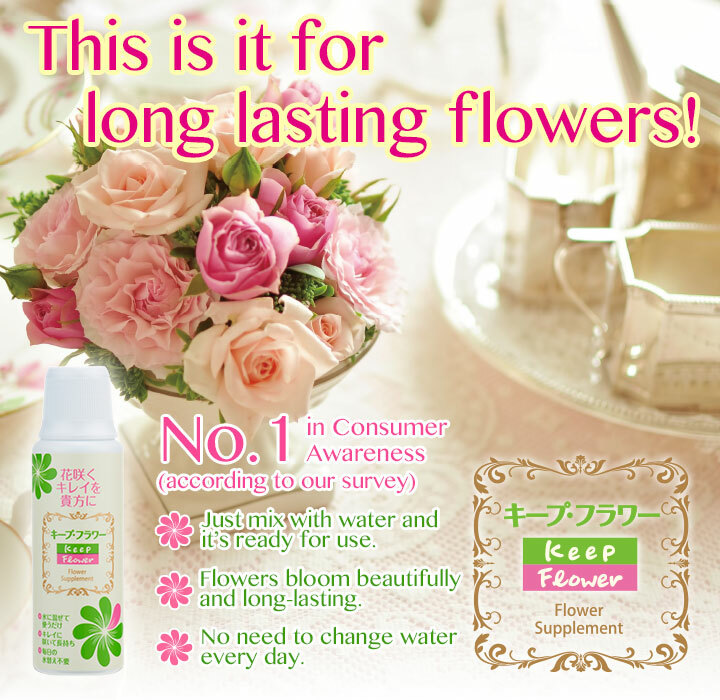 Keep Flower supplements nutrition and prevents fouling of water in the vase at the same time, to sustain cut flowers beautifully blooming for longer time. There is such as big difference between flowers kept with Keep Flower and those kept only with water in 7 days! There is such a big difference in the size of flowers between flowers kept with Keep Flower and those kept only with water in 10 days! The formula is also effective in keeping flowers blooming longer at the altar. Abundant life made with flowers. There are not enough flowers in the lives of people in Japan. The tradition of ikebana, or the flower arrangement, may perhaps be making us feel a bit too formal about flowers. Why can’t we incorporate flowers in our lives and gift them to others, as we see in foreign movies? Let us incorporate more of that charm and abundance flowers bring to our home life. Keep Flower supports “Abundant Life with Flowers”. Keep Flower sustains cut flowers for longer time to produce abundant life with flowers.